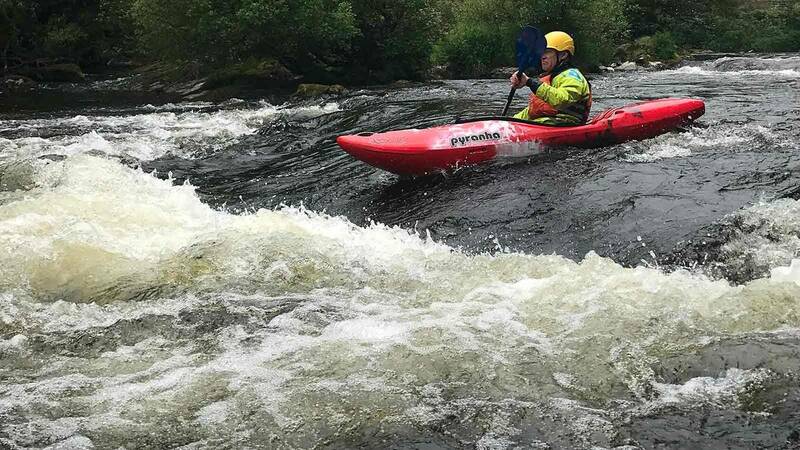 You've decided you like kayaking. Now it's time to experience racing down the face of a surf wave, bouncing down a rapid and running a tide race. 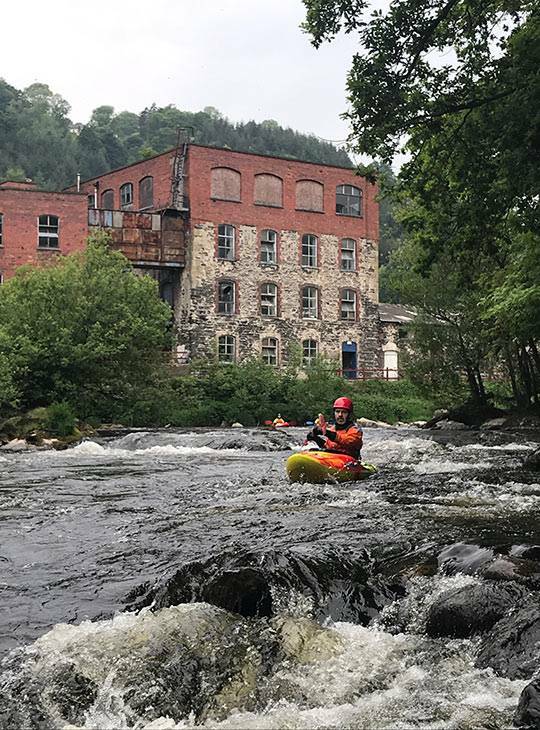 Over five fun-packed white water days days, we'll introduce you to all the techniques you need to handle a boat in the exciting wild water of British rivers and sea. You'll also be introduced to Eskimo rolling and we guarantee you'll have plenty of opportunity to develop your cold water roll!! All our staff are qualified and experienced coaches with infectious enthusiasm for these activities. They are experienced in teaching at all levels and most importantly, they have lots of experience helping you to choose the level of adventure that's right for you. Small groups allow us to give you individual attention. 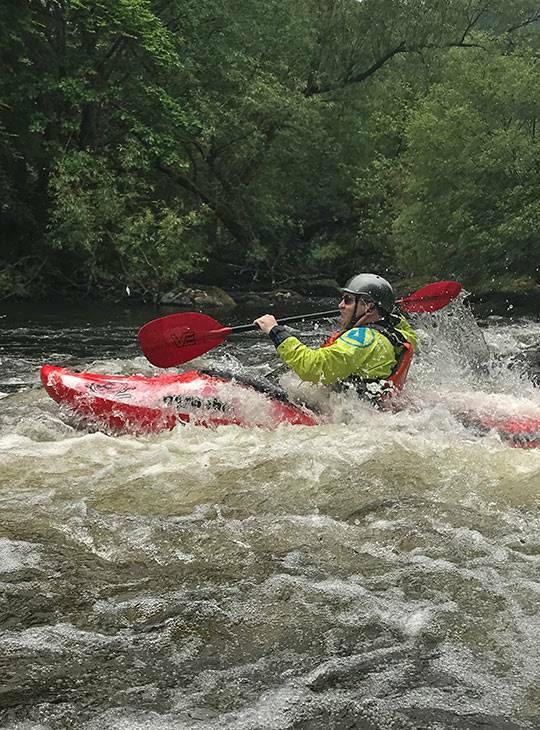 You'll consolidate your existing skills and gain loads of confidence and experience on white water and surf. 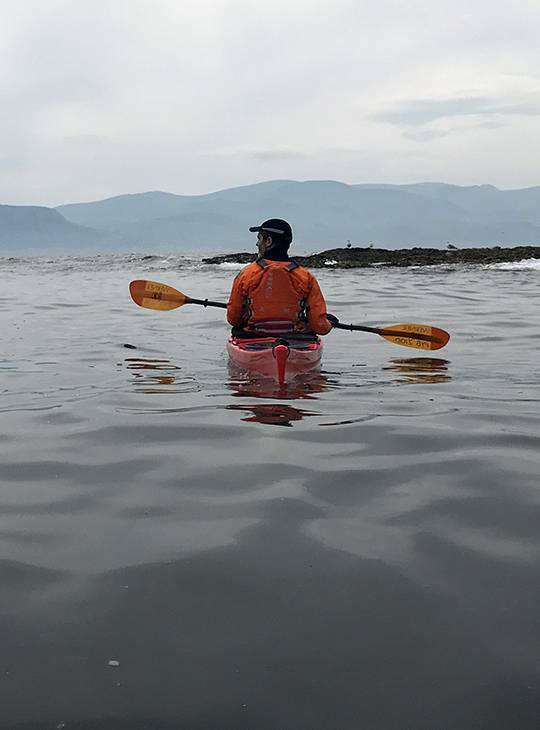 To get the most from the week you should paddled recently, and you'll need to be fit enough for 5 days of activity.